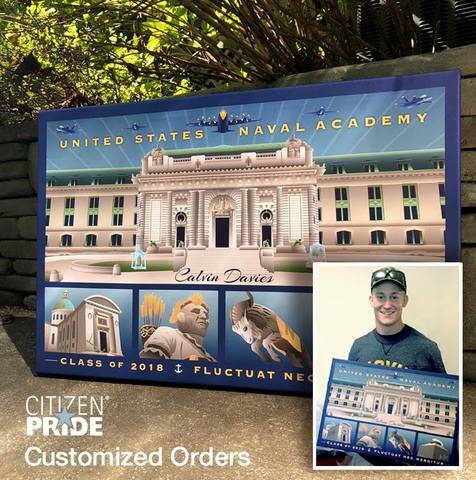 Calvin Davies, a recent USNA graduate, pictured with a customized gift from sponsor family. Citizen Pride provide custom and personalized artwork for that special gift. Work directly with artist, Joe Barsin, to create an original piece.